If it’s time for some new house windows for your home in Des Moines, Iowa, or another nearby community, turn to Waddle Exteriors for the utmost in professional service. 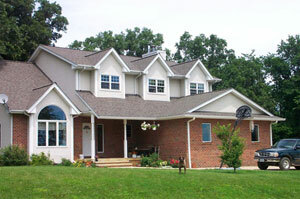 As an exterior remodeling company that has been in business since 1978, we’re true experts in our craft. We employ a full-time staff of experienced and highly knowledgeable individuals to ensure the perfect installation of your new windows. What’s more, our employees are all factory and manufacturer trained, consistently attend ongoing training programs to stay up to date on our products, and are drug tested and background checked. We’re so confident in the work our installers complete that we offer a 100 percent satisfaction guarantee. In addition to professional installations, Waddle Exteriors offers highly energy-efficient house windows that are designed to minimize the transfer of heat into and out of your home. With these more efficient windows in place, your heating and cooling systems won’t have to work as hard to maintain a comfortable temperature inside your home year-round, which can potentially lower your monthly energy expenses. So, if you’re thinking about having new house windows installed in your home, contact Waddle Exteriors today for professional installations and high-quality, energy-efficient products. We proudly serve residents of Des Moines, IA, and other nearby areas. "I was very happy and satisfied with the work done. The look of the gutter toppers is great as it blends with the color of the roofs shingles."